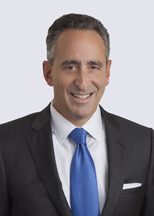 Jonathan Borenstein is a national industry leader in the market multifamily sector, representing some of the largest private multifamily companies in the country. He also represents national and regional real estate owners, operators, and developers of commercial, hotel, office, and industrial properties, as well as lenders, contractors, and investors. Jonathan is a frequent speaker on various real estate and financing-related topics before trade and professional real estate organizations.